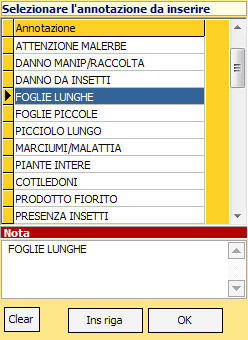 The information solution for the modern food industry! 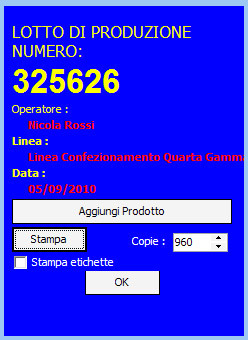 Gtp.TS is the ideal system to manage quickly and accurately every step in the fruit and vegetables processing. 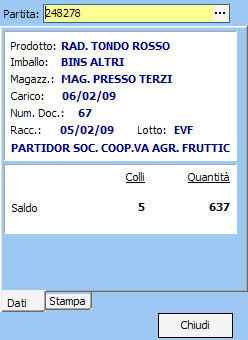 Used by leading companies in the fresh-cut industry in Italy, Gtp.TS is the response to the needs of lots of horticultural farms that find it necessary to gather, enter and manage information while working in the fields or in the warehouse. 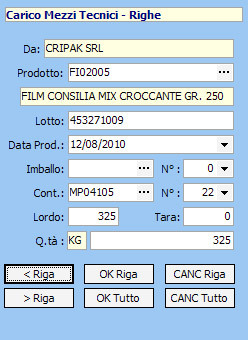 SALES, sales documents creation and SSCC labels printing. Gesag Gtp.TS, traceability is on the palm of your hand! In the fresh-cuts industry Gtp.TS is a revolutionary software solution because it allows to track any processing and logistic activity. It was developed through a long process together with qualified technicians and farmers themselves. Gtp.TS is the ideal solution for automating information acquisition about loading, processing, packaging, sales and quality control for fresh fruit and vegetables in the food industry. Gtp.TS allows the company to operate in accordance with current regulations on traceability (European regulation 178/2002, UNI 10939:2011 and 11020:2002) and track and report at any moment all information about batches. With Gtp.TS your business will surely grow and compete in the market! 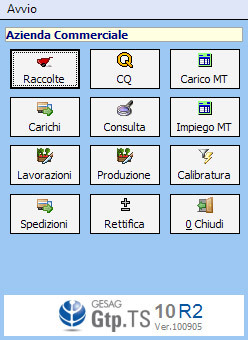 With this module you can manage goods (raw materials or finished products) coming from your own production or bought from external suppliers: you can refer to specific documents, enter the supplier code, the kind of crop or notes about any feature of the product and also identify goods univocally. This module reports the operations performed during product processing and packaging: processing date, operator identifier, cold storage, processing line, packaging machine, destination cold storage or warehouse, duration, etc. Processing can be handled in two ways: whether you enter data without any constraint coming from scheduled activities or you manage production orders assigning them to an operator and specifying the BOMs to be used. In this way all production stages can be determined by the system and monitor each transaction directly from your personal computer wherever you are. Gesag Gtp.TS also allows the identification of goods coming out from the processing line by generating a code for each batch. It is also possible to assign the kind of packaging and the related shipping document. After having defined quality evaluation criteria it is quite easy to examine the quality of incoming goods. With Gtp.TS the person in charge will be able to enter detailed data effortlessly and without wasting time and, at the same time, better manage all interactions with suppliers. Real time inventory updating and stock status management are only two of the many functions that can help manage materials stocked in the warehouse. 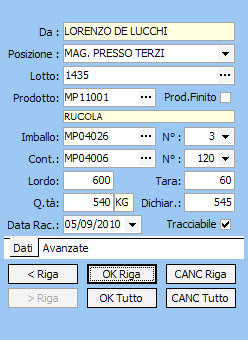 Moreover, labeling grants batch traceability and detailed movement history of both goods to be stored and goods used for the production. 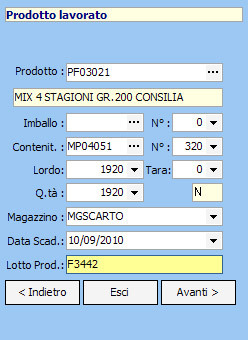 In this module you can automate the creation of shipping documents and share them with other document based functions (see, for example, accounting or sales). 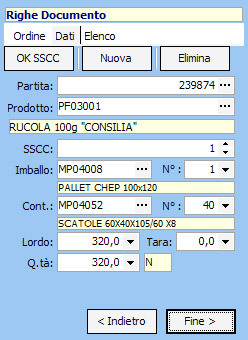 It is salso quite useful to consult packaging lists (previously created in Gtp.agri) to know exactly the pallets involved in a shipping or to be loaded in a specific truck. Gtp.TS users only have to assign the batches to be shipped to the pallets, containers or any other packaging loaded; it is then possible to print the shipping document filled in with the necessary traceability data that are already available in the system. Gesag Gtp.TS fully integrates with Gtp.agri and Sigma to create a reliable and powerful ERP system with which all information is efficiently handled. In general Gtp.TS is recommended for companies processing fruit and vegetables and paying particular attention to quality, efficiency and traceability management.